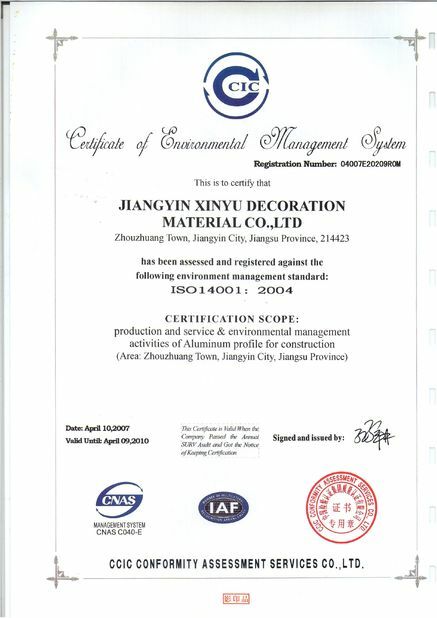 Jiangyin Xinyu Aluminum was established in 1993 year.Owns floor area 56000 square meters and building area 34000 square meters.We have 375 workers,68 engineers,included 35 senior engineers.Zhenghe is a professional company with power technology research.Aluminum profiles production capability is 10000 tons per year with sales amount 220 million RMB. Extrusion workshop:It is provided with 7 sets of extrusion equipment fully imported from TaiWan and advanced constant tempreature and constant speed extrusion production line with computer control. Anodizing workshop:The most advanced nickel salt standing system in the world is used for anodizing. Electrophoresis workshop:Japanese technology and equipment are adopted in the electrophoretic system and the raw material is Japanese Hani paint. Powder coating workshop:The 2 spray coating production lines were imported from Nuoxin America and Jingma Swiss. Matt electrophoresis workshop:It was established on 2012 year and had been in the order production. Deep-processing workshop covers an area of 18000 square meter,a variety of processing equipments,machining centers,CNC milling,CNC lathe,bending machines and processing machineries. The concept of our enterprise is "overloading mediocrity,pursuing the perfect,creating brands,providing high-quality goods",Try Our Best Provided the Best Service For Clients. 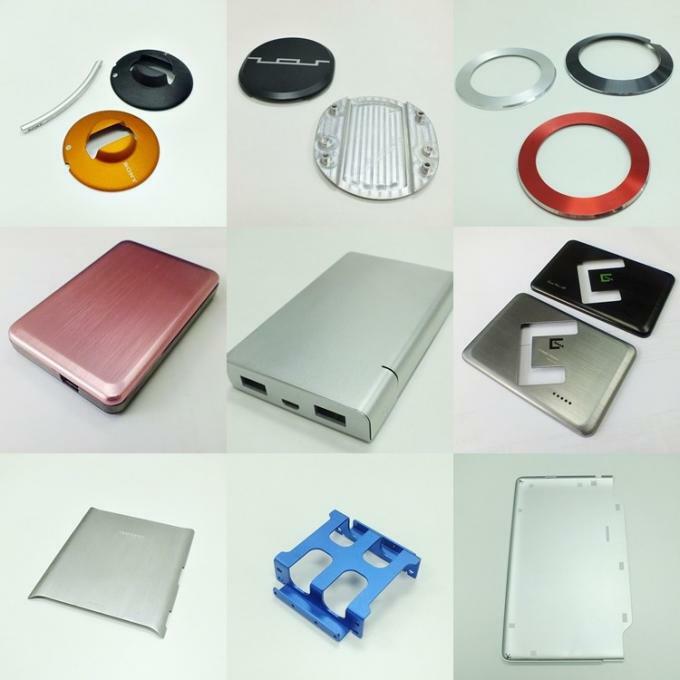 Material Aluminum, aluminum alloy, superalloy, steel, Stainless steel, Iron, titanium alloy, copper, brass, phosphor bronze, engineering plastic like POM, ABS, PEEK, PVC, etc. ● We provide engineering consultation to your design for production improvement and cost saving. ● For long-term cooperation, we provide not only technical support, but also excellent high quality after-sales service as well. 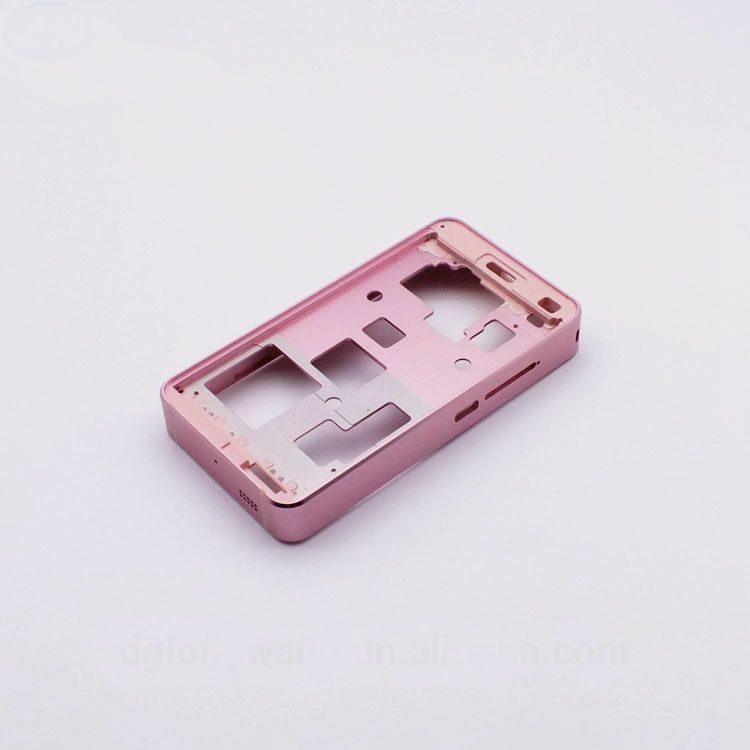 ● We guarantee our mass quality is same as confirmed sample. If not, we will solve the problem or compensate for it. 1.How can I get quotation and feedback for my products? Provide your 2D drawings with specifications (material, surface treatment, tolerance, other requirement, etc. 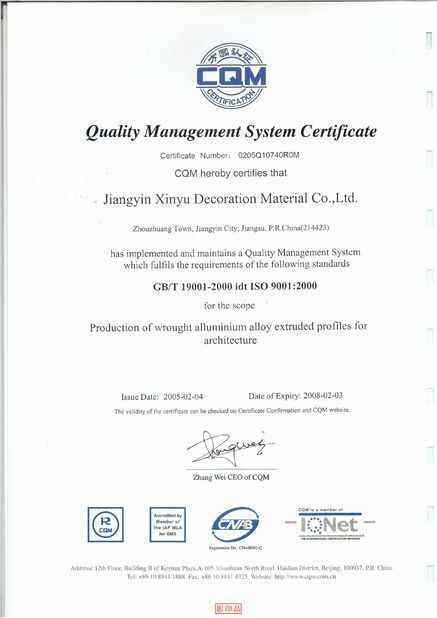 ); Please inform your quantity usage (MOQ and annual need) and logistic requirement; 3D drawings are much welcome for full product review. 2.How long can I get the quaotation? 3.How long will you produce the parts? Production lead time for CNC machining is 1-4wks, according to difference products and quantity. We will communicate with Customers on production plan and delievery for each PO. 1) Especailly for new customers: T/T in advance or 50% T/T in advance, left needs to be wired before delivery. Yes, NDA is necessary between us. Process: Extrusion, CNC Machining, Anodizing.